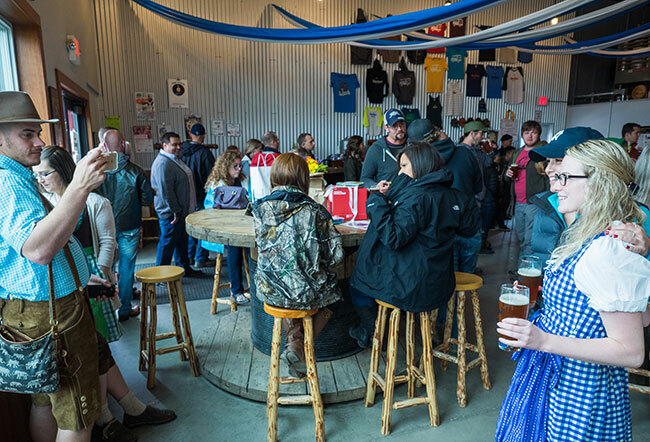 Once again, we’ve partnered with the Alaska Railroad and Lavelle’s Bistro to offer beer enthusiasts an evening of Oktoberfest-style fun aboard the HooDoo Choo Choo beer train. The train will depart Fairbanks at 4 p.m. Saturday October 1st for an evening of brew sampling aboard a round trip rail journey to Nenana. All aboard the HooDoo Choo Choo! 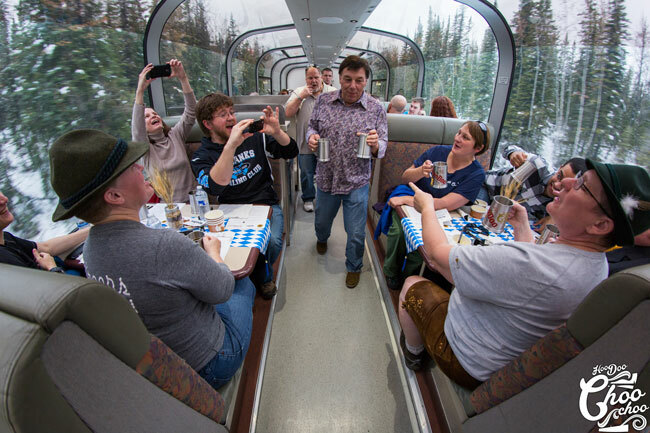 The HooDoo Choo Choo offers passengers the atmosphere of a beer festival in a truly unique setting: traveling through Interior Alaska aboard the Alaska Railroad. The experience is completed with our specialty brews, hors d’oeuvres from Lavelle’s Bistro and a fun crowd of beer connoisseurs. We’ll also have door prizes and each passenger will receive a commemorative stein to add to the festive fun. Grab you dirndls and lederhosen for the most wonderful time of the year! Oktoberfest! Munich’s 16-day festival celebrating the Autumn and all things beer. Grab your Bavarian garb, crazy hats, pretzel necklaces, and brush up on your Ein Prosit – because we’re celebrating at here HooDoo, just like they do in Germany. 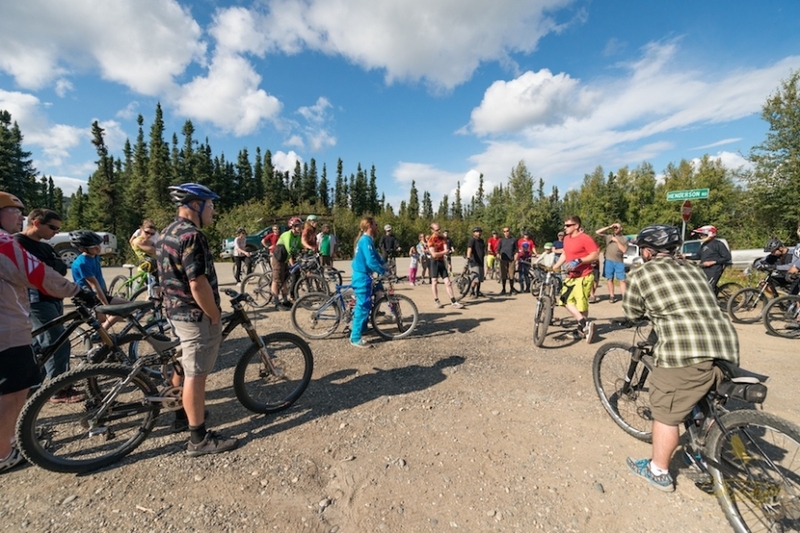 We are back again on our 4th year for the 2016 HooDoo Cup Super-D mountain bike race on August 20, 2016! We have some exciting new things for you all this year. The course will remain the same as last year but we worked hard to get some new sponsors to participate and have a lot of great prizes for everyone. You won’t need to be in the top winnings to win something cool! Celebrate American Craft Beer Week at HooDoo! American Craft Beer Week is here! Join us for fun events, awesome beer releases, great food, and a good, local vibe. All week, we’ll have a different food vendor each day in the Biergarten that will kick off our rotating summer food truck schedule. ACBW is seven-days dedicated to celebrating the ever advancing beer culture here in the U.S. – and Fairbanksans get to participate! At this celebration, we also feature a local artist for a commemorative poster and t-shirt. This year’s artist is Jennifer Moss. Jennifer is an Fairbanksan who does beautiful art that’s inspired by our natural surroundings. We are excited to showcase her work! Check out the whole schedule, and reserve your spots for beer pairings and classes soon! Bend for your beer and have a post-session pint! 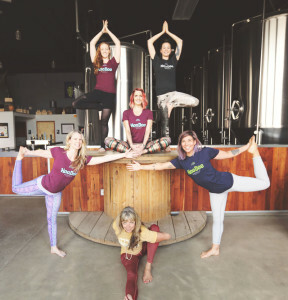 Thanks to the wonderful folks at Heart Stream Yoga and TRAX Yoga, we have a fun, 6-session Yoga On Tap series planned so you can get your BeerAsanas on. 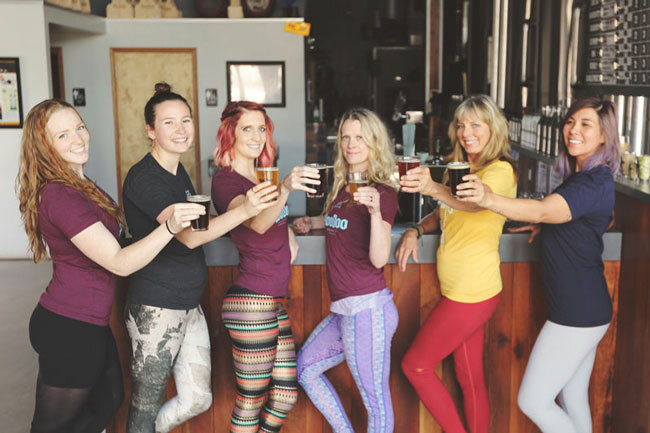 Whether you are new to yoga, or are a seasoned yogi practicing in the quiet Taproom while the beer bubbles away offers a different experience. Every second Saturday, a talented local instructor will guide you through a session. It’s just a $10 drop-in fee. 100% of the money will go to a local charity, and we’ll decide which organization as a group. After class, you can grab a pint if you’d like, and hang out before the Taproom opens to the public at 11am. Time: Classes will start promptly at 9:00am and will go to 10:15am. Please bring a mat. *attend 5 out of 6 sessions and receive $25 of HooDoo merchandise and 15% off a class punch card at Heart Stream Yoga or TRAX Yoga! Morning post session beers with awesome local instructors. Now in our second year, we’ve teamed up with Goldstream Sports to offer a fun fitness opportunity every Thursday at 6:00 p.m., all summer long. Meetup at the brewery to run (or walk) 2-6 miles in groups or at your own pace. The course each week is set by Goldstream Running’s Stacy and is usually out-and-back. The distance and time is completely up to you.